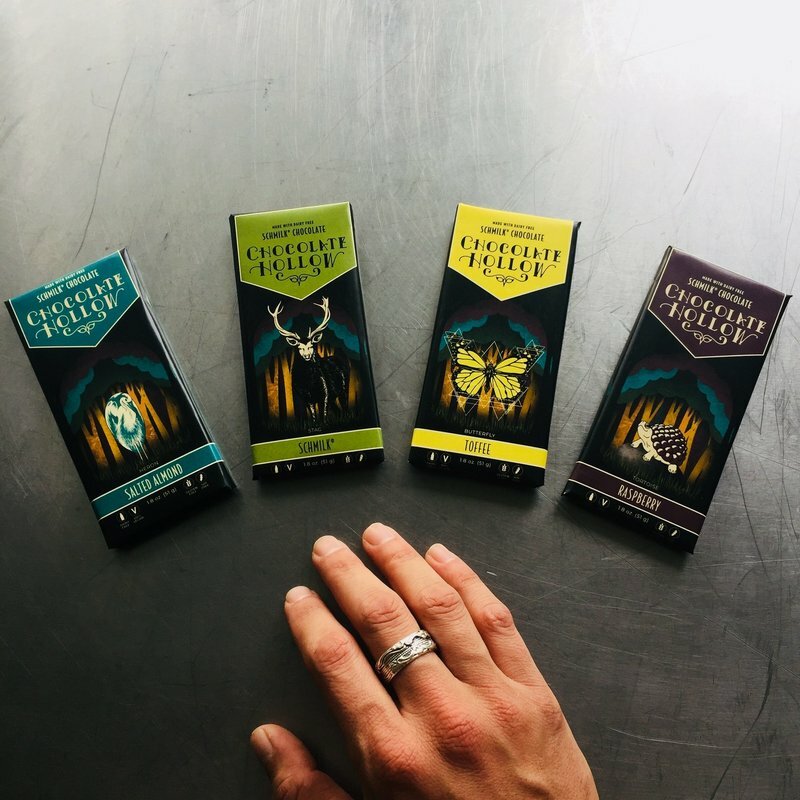 ​In the fall of 2017, I met with the owner of Chocolate Hollow to discuss options for a rebrand of her growing vegan chocolate company. She expressed a desire for a more simplistic and intriguing brand that inspired a sense of place, as though the consumer was "experiencing 'The Hollow' for themselves." We worked together to come up with an elegant hand-written logo that was then paired with the skills of a contract illustrator and package designer to create a more cohesive brand and consumer experience, that better reflected the whimsical nature of Chocolate Hollow. 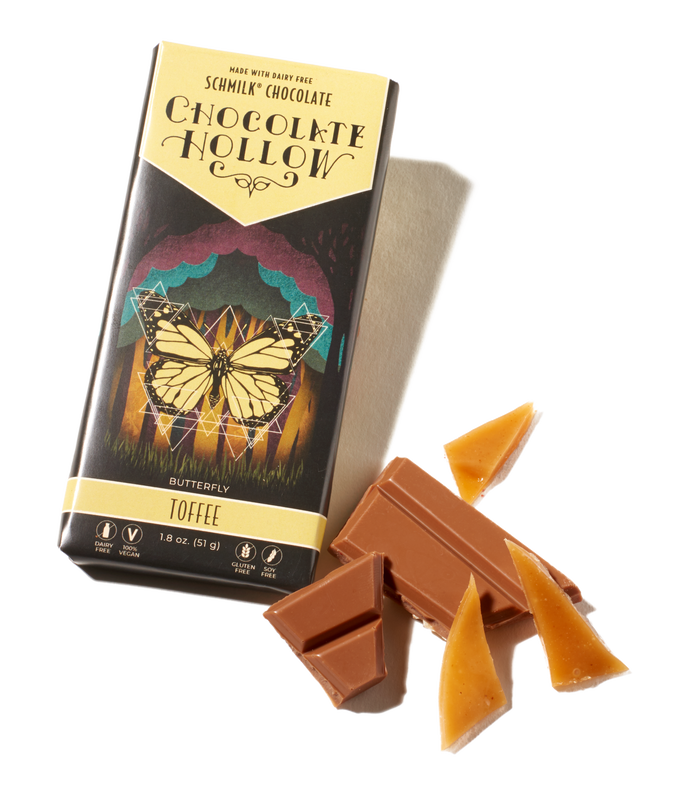 Chocolate Hollow illustration and package design provided by separate outside contractor.